(MS) 450 msq, 4 master bedrooms, 3 living rooms, 1 dining room, family room, 8 bathrooms, maid rooms witht heir bathroom, kitchen, 6 balconies viewing both mountains and the sea. Nice decoration, all quality work, cave, Driver room, 4 parking spots. 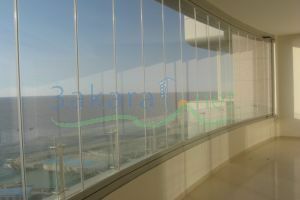 one of the most prestigious apartments in Beirut.